Shivaye hates anika more than before and daksh is not regret. This episode starts with Anika’s Anti“ Anika’s Anti is shocked to see Shivaye in front of her door”. Anika’s anti is said to Shivaye that I am thanks to god that you came to my house and invited him. He looks at Anika’s house glaring. Are you finding Anika but she is not here. He is said to her that I didn’t meet Anika“ I want to meet you”. He asked that I want to know about Anika’s family and everything. She said, what Anika has done it. She asks Shivaye that what did she do now, again he ask Anika’s Anti that tells me about Anika’s family. She said that I felt so ashamed to tell about her, she is my brother in low’s daughter, I looked her like mom and I don’t want to tell you that Anika’s mom was someone’s mistress, she eloped with a well to person when Anika and Gauri were young, I knew only that how I raised them and what did I get in returned “only disgrace”, she has spoiled my reputation everywhere. She wants to marry with a well to do person and spend her life in a leisurely manner, that’s why she shared from work, so we had lived your house and no one respects and cares. 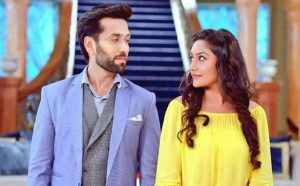 Shivaye is shocked to know about Anika and Anika’s mother and he said that this is Anika’s salary and I want that she must not be seen around my sister and he leaves. Shivaye is thinking about Anika and whatever Anika’s Anti said to Shivaye. He says that how could I make a big mistake In judging someone’s, why did I believe her every time and she lies everything, why didn’t you listen to your heart, not mind, she is not aloof from other girls. He has seen Anika with Daksh. 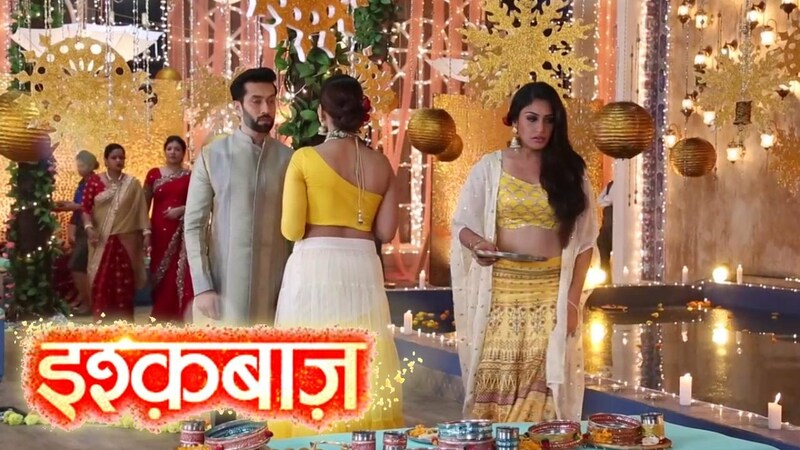 Anika says to Daksh that Payal is pregnant with your child and she is upset “ just because of your avoiding nests”, and I want to tell you that you are doing wrong with your child, Priyanka, and Payal, it’s not too late please stop doing this. There is still nothing spoil, you can do everything, please once time tell her true and break this wedding, suddenly Daksh said that why do you think that I will do something like that, Anika said to him that you will have to do, Daksh said to Anika if I don’t so Anika said then I will tell you everything to everyone, I’ll give you only 24 hours, go And tell true and Anika leaves. Priyanka is seen in a hassled state as the lady who had to apply“henna” refuses to come. However, Shivaay brings the best mehndi Artist with him. While Priyanka. The Oberoi brothers and Tia are seen in the main hall, the house cleaner comes and hands over the letter written by Anika to Priyanka. It is accidentally read by Tia, who then don’t let Priyanka read it. Tia also threats her brother, Dakash, for ruining their plan and reminds him they are bankrupt. Anika went to Payal’s house and find out the Payal, Anika saw that Everything is dispersed, Anika saw out of the window and suddenly Daksh came and taking her on his shoulder.